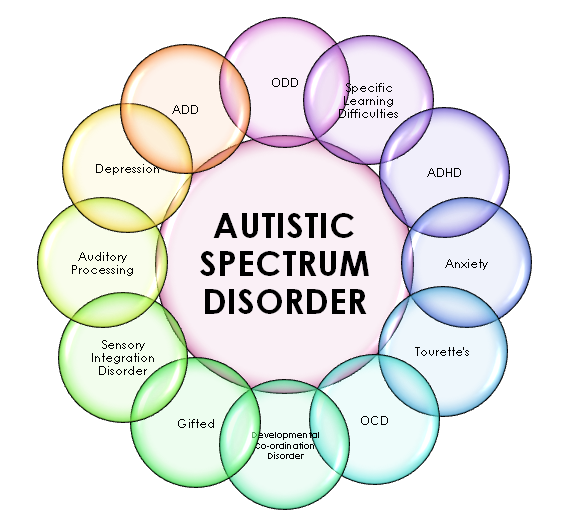 As the number of students with Autism Spectrum Disorder (ASD) in secondary school settings grows, many educators are not prepared to adapt their instruction to meet state standards and the diverse needs of the full spectrum of adolescents with ASD. Yet, academic achievement in high school plays a critical role in students’ future education and career outcomes. In addition, greater demand for a technologically advanced workforce makes academic skills more essential for high school graduates. However, college enrollment for people with ASD is among the lowest of all disability categories, which in turn makes gaining employment difficult. Only 37% of the ASD population holds jobs, mostly working part-time, and few receiving benefits. The Common Core State Standards (CCSS) for English language arts and literacy and mathematics outline expectations for the skills educators should teach; however, the CCSS provides no guidance about how these skills should be taught to students with or without ASD. Although the diagnostic criteria for ASD does not imply academic difficulties, impairments in the social communication domain—as well as engagement in restricted, repetitive, and stereotypic behaviors—may contribute to the challenges around academic performance, and they predict future academic achievement. The cognitive profile of students with ASD is complex. The students often have uneven skill profiles or splinter skills, which make accurate assessment and support more difficult. Research indicates these students may process auditory or linguistic information at a slower rate than their peers, but studies also show that people with ASD have enhanced perceptual functioning when engaged in visual processing. In addition, students with ASD may exhibit a bias towards local processing (details) rather than global processing (“the big picture”). Furthermore, these students’ executive functions (e.g. inhibition and the abilities to manage self and tasks) often are impaired, which can result in difficulty planning multi-step sequences of events and demonstrating mental flexibility, as well as other challenges. People with ASD also may demonstrate difficulty in recognizing and understanding the mental states of themselves and others, and have deficits in understanding irony, symbolic language, and deception. These deficits impact (and are impacted by) language levels, sometimes impair social relationships, and may affect literacy. Lastly, challenges around the ability to recall words, stories, and sentences, as well as issues with memory within the context of day-to-day activities—such as recalling people’s names, locations, and appointments—are common in students with ASD. The demand for interventions to improve academic performance for students with ASD is growing as diagnoses increase—as are expectations for students with ASD to meet the academic standards for typically developing peers. However, the structure of high school poses several challenges for students with ASD, including: crowded, noisy physical environments; frequent transitions between classrooms; different teachers with varying expectations and rules; and different peers in each class. Being able to anticipate and understand activities, schedules, and expectations improves the abilities of students with ASD to participate and respond to classroom demands, as do establishing routines and creating written schedules. Exposing school assignments to these students before presentation in class can help them anticipate classroom expectations and prepare them to participate in activities and assignments. Students with ASD also require explicit instruction to learn new skills; therefore, clear explanations of a skill or task sequence, modeling, guided practice, and multiple opportunities to independently practice and apply the learned knowledge will help in teaching academic content. In addition, many students with ASD have difficulty generalizing skills beyond the immediate teaching context. Thus, educators can plan integrated instruction to facilitate generalization by providing opportunities to practice skills across settings throughout the school day. Developing strong home-school collaborations also supports skill generalization, as does teaching students to monitor and manage their own behavior. Some students with ASD work on alternate achievement standards in fully inclusive general education classrooms. The primary goal of alternate achievement literacy is for students to apply their independent reading skills and become fluent in listening comprehension of connected text. Also, with adaptations—including teacher-directed inquiry, explicit instruction in science vocabulary, use of hands-on materials, and other modifications—even students with ASD and intellectual disabilities can participate in lessons aligned with state science standards. Moving forward, educators will need information and support to be able to adapt their instruction to meet the needs of students with ASD. In addition, researchers and practitioners will need to recognize the cognitive profiles for learners with ASD while adapting instruction and incorporating multi-component interventions. Snapshots 72-77 provide brief synopses of articles from the special issue on “Autism, Adolescence, and High School” for Remedial and Special Education. Kara Hume, the issue’s guest editor, serves as co-principal investigator of FPG’s Center on Secondary Education for Students with Autism Spectrum Disorder. The Center on Secondary Education for Students with Autism Spectrum Disorder is a partnership between FPG and six universities: University of Wisconsin, University of California at Davis, University of North Carolina at Charlotte, Vanderbilt University, University of Texas at Austin, and San Diego State University.